Natalio Danzo was driving by the Rio Gastona bridge in Argentina when he saw a man take his jacket off and throw himself off the edge into the river. “I thought he killed himself,” said Danzo in an interview. When he hit the breaks and went over to look, he realized the man jumped to save a small girl from drowning. 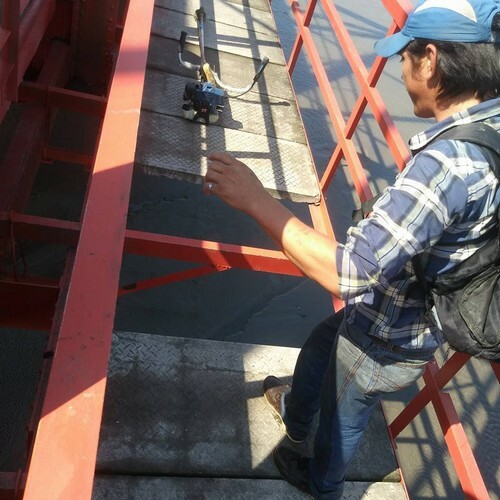 The protagonist of the story is Walter “El Chaqueño” Monzón, a man with odd jobs who didn’t think twice before jumping off a 40-foot bridge to save the girl. The incident took place Wednesday morning. After leaping, Walter grabbed hold of her and took her to the river’s edge. The girl didn’t want to go to a hospital and returned home, instead. Touched by what he witnessed, Danzo offered the man a ride. Walter’s story went viral a few hours after the incident, which led to someone donating a new phone for Walter and job offers came pouring in for him. Danzo went to Walter’s house to give him the cellphone, but he was out working. Walter’s wife and one of his three children welcomed Danzo into the home. Once Walter got home, he told him how his good deed inspired many people, and that they sent him a phone, job offers, and greetings.